As indicated upfront, I was not really there for this years event. So I had to live with all the online fuzz being distributed and no own pictures taken. Sorry for that. Just got some nice support from my mobilegeeks friend Sascha Pallenberg and may use some of their photos, if I can find some matching to my story. "There's a sense that physical hardware has hit a kind of plateau, where the services contained within rather than the device itself are more important. For many, CES 2013 felt like the end of an era, the changing of the guard as the "internet of things" and cloud connectivity dominated an event that was once the domain of high end AV and cutting-edge gadgetry..."
Just to get fully up to speed some "Remote Highlights"
TheVerge at CES 2013. Josh Topolsky is back and better than ever. Liked this strange split to morning and evening shows named first and afterhours. Tons of very good video clips showing the highlights of this years CES. Also many really interesting interviews with relevant people at the scene. It was a real pleasure to watch the one or the other show live from overseas just to get a flavor of the actual spirit of the show. Kickstarter seems to have been one of the hidden stars of this year, as there was more hardware startup news driven by a Kickstarter project than real new innovations by the big companies. Examples are the Pebble smart watch, the Oculus Rift VR glasses, the worlds thinnest watch CST01 and the Leikr colourGPS sports watch. "Wearable tech" as the biggest inventions. CES as an "Indies Show", as Nilay Patel from TheVerge described it. 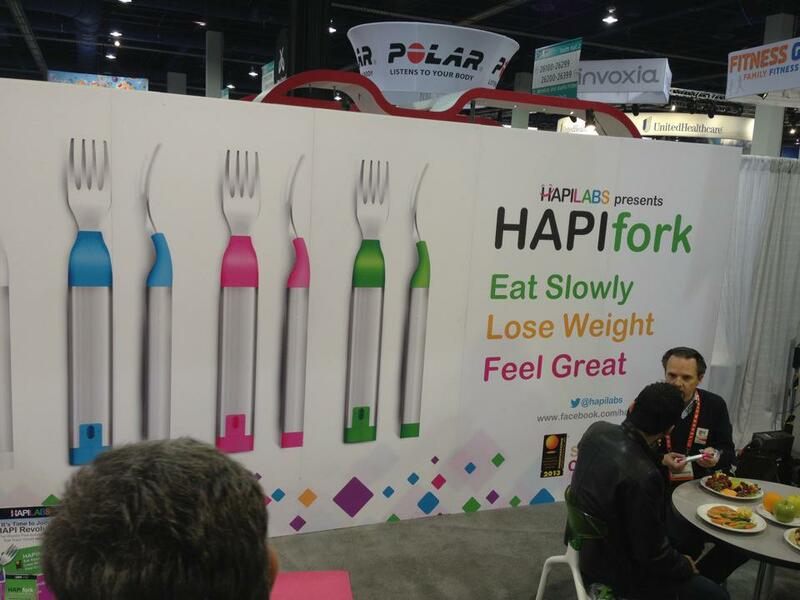 HAPIfork as for sure one of the most curious devices. I watched most of the keynote in full length and will try to insert their links or even embed them, if possible. I splitted my listing into press events and CES keynotes. was announcing some new chipset roadmaps focussing on mobile solutions. I found it interesting that they are heading at first for an entry package called 'Lexington' Z2420 for low cost smartphone designs in emerging markets. The chip is still really powerful and may have some impact on new device designs. 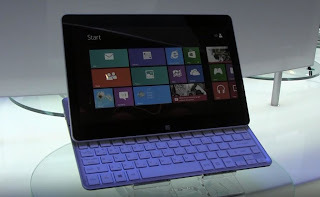 For tablets the company introduced a new quad-core 22nm Atom SoC processor called "Bay Trail" coming end of 2013 and also announced a next generation low power Core processors of the "Ivy Bridge" line to be available very soon and maybe integrated into the Suface Pro devices and Lenovo's Yoga 11s convertible laptop. This generation reduces power consumption down to 7 watts (from 17). The next generation of core chipsets was announced to be even better and may make special atom chipsets nearly obsolete, at least referring to power consumption. Take your time and watch the whole presentation. I found it worth the time, as to me this is the first time INTEL really gets back into the mobile battlefield. The event was a real mass market oriented one and lots of different playing fields were addressed. Highlight were the 4k LED TV, a new 55 OLED and a new 75 inch product line F8000: All TVs are getting a new much improved and simpified UI making clear, that the existing SmartTV UI of SAMSUNG had some obstacles and relatively low usage. A real crazy thing is the Evolution Kit offered for 2012 series buyers only to upgrade to a more powerful, quadcore based SmartTV platform embedded in the actual high end products of 2013. Transcoding of TV programs to tablets will also be supported by this new hardware. A fridge with built in LED TV and an oven with two parallel heating zones were the stars of the White goods related announcements. 6 Billion Mobile are in use worldwide, 0,5 Billion smartphones being sold in 2012. Main drivers of mobile progress are the built in components of all the smart mobile devices flooding the market. After Exynos 4 and 5 the last generation is the new Exynos 5 octa, using 8 discrete CPUs (4 x A15 and 4 x A9 CPUs). This allows high power, if needed and low power during lower processing demands. This is intended to allow for much longer runtimes of the built in batteries by less power consumption during normal operations. In cooperation with ARM the big.LITTLE technology is implemented to distribute processing workload dynamically in hardware. Connected Smart Cameras as one of the best exmples for new integration concepts to enable direct integration of photo taking, processing and sharing. Samsung is delivering new and even faster SSD drives and cooperates also with big partners to even improve big data usage in large data centers. Partner HP explains, that the actual acceleration requirements are motivated by Mobile, Social, Big Data and Cloud service usage. All these usage patterns lead to more and more cloud based processing and storage needs. For 2013 an amount of 34 million servers will be needed to support the cloud services in use. Growth expected to 39 million in 2015. New memory technologies enable big optimizations in power consumption. HP works on a new hypescale computing project named Moonshot to reduce overall power consumption for about 90 percent. The solution allows 2800 servers per rack also needing 94 percent less space, 63 percent less cost and 97 percent less complexity. Impressing figures. Actual screen resolutions offer 300 pixel / inch delivering 2. New green LCD technology based on OLEDs. Youm is a flexible OLED display technology first presented at this CES. A prototype of a full flexible display was demonstrated live in action showing dynamic changing pictures and video clips even when it was heavily bended. A somewhat horrible but courious video clip showing new devices based on Youm starting at about 46:00 minutes. Just funny and only taking 2 minutes to watch. Microsoft also took the chance to show a Windows Phone 8 UI on the Youm display prototype. Their press Event is put here to bring the next big consumer electronics company into this list, but the footage is of relatively bad quality. The announcements were also not too exiting, but included some connected home and energy efficiency parts. Action starts at about 10 minutes of the clip. To end up the round fo the big ones I like to list Sony as they still appear like the good old consumer company focussing a lot on photo and video stuff and ultimate picture quality. Like their enthusiasm on 4k and their first consumer devices supporting this new format. Sony One Touch as major differentiator. NFC based connection / sync between your smartphone and lots of accessories or Sony systems. TV Sideview as a new approach to enrich the search / EPG experience (includes i.e. search in Netflix). Cameras WiFi features extended to connect with smartphones. First 4k consumer camcorder announced. For the first 4k TVs a local server was developed that will be able to store some first 4k remastered movies. Playout controlled with a tablet. Local upscaling directly within the 4k TV sets. I just want to mention at least one of the big players of mobile chipsets and its partly first of presentations, as they were the first showing live demos of 4k videos on their new gaming concept device "project shield". This very special console being just a fully packed game controller with full battery pack and a 5 inch foldable display. Curious, but powerful as it uses the new generation Tegra 4 chipset. I wanted to use the official cesweb.org links, but the embed codes interfere and do not allow 3 clips on one page. So I put in only the access links to the clips and hope, this will work. There was also lots of serious announcements going on during the keynote, even if it never got out of its awkwardness ... So lets make it short: New Snapdragon 800 can play and capture UltraHD (4k). A somewhat bloody movie preview of Pacific Rim was shown. Ultraviolet and Flixter were mentioned as importent parts of next generations VoD and download services. Not to forget Steve Ballmers phenomenal, crazy Windows 8 show. It ended up with the Internet of Everything part and the presentation of Qualcomms new "Streamboost Technology" based on the new 11.ac stack. This one was a bit in the real old fashioned style. Just ignore the CES promo stuff intro at the beginning. But on the other hand there was a big presentation of Ultraviolet announcements at the beginning of the keynote indicating, that all big CE companies try to get into the boat with their BluRay players soon. 10 million accounts exist, and 8500 titles are available today. Ninja Innovation on of the keywords used by Shapiro. Panasonic was trying to build up a biger picture showing Panasonic as a big player also outside the pure consumer electronics game. Green technologies where shown, also an energy neutral home owned by the female presenter of Panasonic US. Some tech details: 4k OLED display to be produced using a printing process. In total not very much news in that keynote, but a far better company image presentation, than Qualcomm... Summing up in a closing motto "we are engineering a better world for you". This was a real network thinking minded an carrier driven keynote, but with some good insides, too. Highlights were: The idea of a global video / TV aggregator portal including format conversion offered by Verizon Channel Story on Fios TV Dukebox for TV. And broadcast live video over LTE as a multicast service. Sports: NFL, full mobile coverage and special mobile apps to enrich the viewing experience. Automotive: Ford Motor started Sync program some years ago. Started with simple bluetooth connectivity enriched by built in voice features. Amazon Music just announced as new partner. Nice Evos concept car video clip. Lots of connected car dreams. Digital Healthcare: Relatively high flying video clip. mHealth platform under development. Pebble Press Conference (unfortunately still in negative colour format) showing the status of this new smart connected watch. I hope to receive a Pebble soon, as I was one of the early backers of this projects. The Pebble CEO, Eric Migicovsky, was also interviewed by TheVerge. He is a smart guy and fully focused on his new gadget. Like his attitude. Lego mindstorm with smartphone apps to do remote control. Perceptional computing, like eyetracking could become relevant. Lots of different touchfree impelementations where shown. Coby MID7065 7 inch tablet 1,2 GHz for 130 USD. First fully Google certified one. Not to forget all the new Windows 8 con-what-ever-vertibles like this LG H160. During Cisco's press event COX announced its new COX TV app. Cox President Pat Esser was joined by Cisco Chairman and CEO John Chambers to demonstrate the application currently being developed by Cox that personalizes the video experience for its customers, based on customer preferences and viewing habits. "We are delivering a viewing experience that is more personal by putting customers in command of the content they most enjoy," said Esser on stage at a press conference held at the Wynn Hotel. "For more than a year our customers have been able to watch live linear channels via the iPad inside the home," Esser said, referring to Cox TV Connect, the company's proprietary app which allows customers to experience live TV on their mobile devices...."
I have to come to an end now. I have not been there but got some strong impressions on the things happening there. Hope to be with the next one.... and very optimistic to be present on the upcoming "Mobile World Congress".